With all moves, walking, resetting and getting up especially, it is important that all legs meet the ground equally. Even when being careful to center the legs in the build process, it is likely that the legs will still be off-center because of how the gear horns and servos are made. PoMoCo has a feature that lets you make software-based offset adjustments that will result in the legs being much more equal. 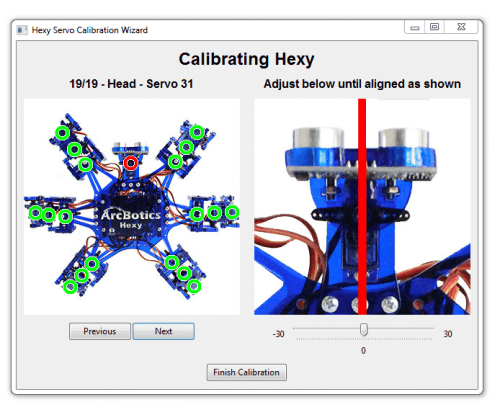 PoMoCo has a wizard to guide you through the process of offset calibration for your robot. Make sure you’re connected before you run it! 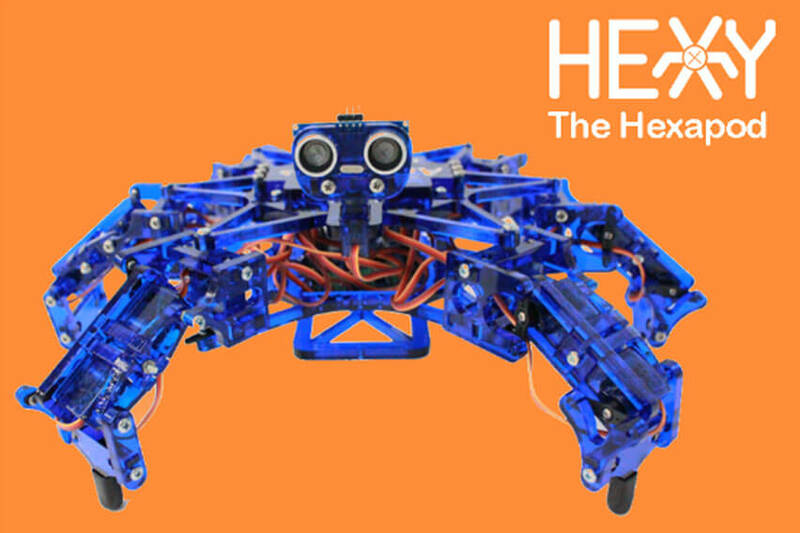 The wizard will go through all the servos on your robot, one by one. 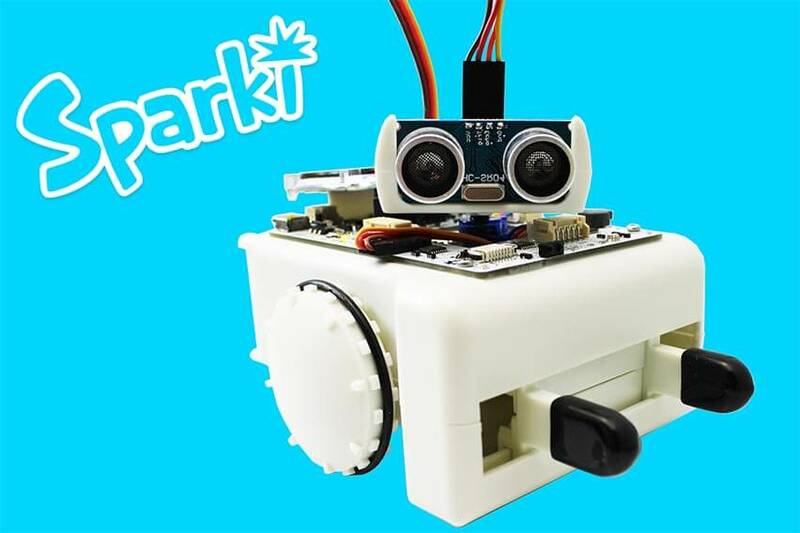 The left side shows its number and the position of the servo in the robot (blinking yellow). The right side shows how the joint should look after its been calibrated. Typically this is with the joint being straight in-line with the part before it. Drag the slider on the lower right-hand side to change the servo offset. You should be able to see your joint move slightly as it is being dragged. Drag until it matches the shown picture. 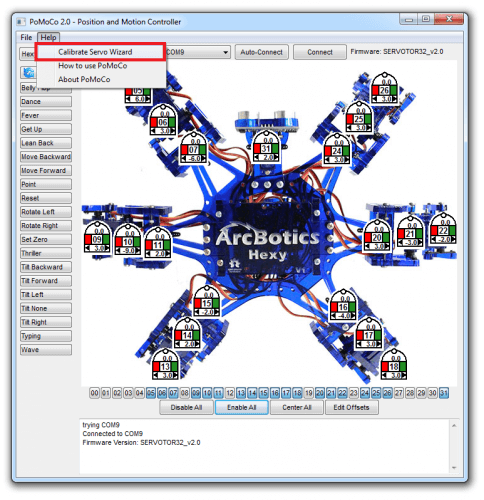 Click Next button on the bottom left-hand side when finished with the shown servo. This will highlight the calibrated servo in green, and proceed to the next servo. Repeat the process until all servos have been calibrated. When you’ve calibrated all the servos, click Finish Calibration. Your robot’s servos are now calibrated!